Request a demo of our software or contact us for more information. Thank you for your interest in FabTime’s software. We would love to help you get started. Fill out the form below, and we will get back to you shortly. 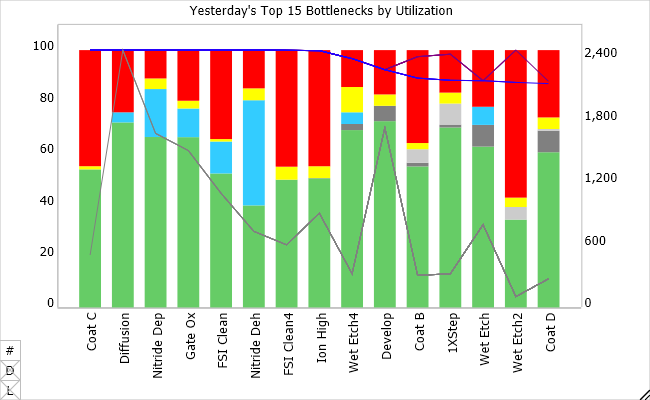 View your recent bottlenecks by using the Tool State Pareto Chart, sliced by tool group (as shown), or by tool. Your logged tool states are mapped, by site, to the SEMI E10 standard states. FabTime also breaks down tool idle time according to whether or not WIP was available that could have been run at that time. Use this chart to identify capacity bottlenecks and to understand tools that contribute to cycle time problems. View your recent shipments by day (or shift, or week, as you choose), stacked by whatever variable you choose. 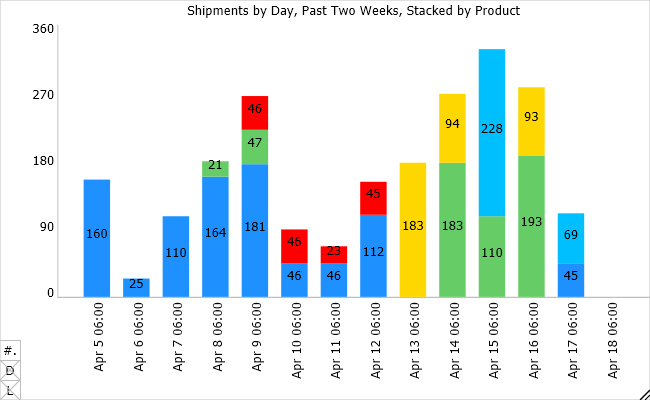 In this example, shipments are shown by day over a two-week period and stacked by product. You can view data values right on the chart, as shown, view them on top of the bars only, or leave them to display only in a corresponding data table. You decide. A core chart used in most wafer fabs is the Moves Trend Chart. 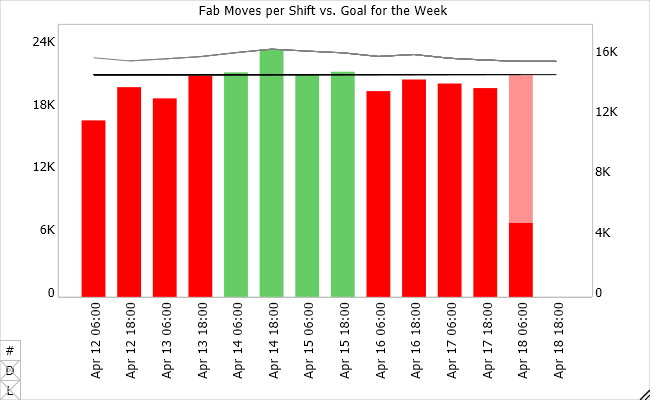 This chart shows total fab moves by time period relative to a goal, as well as total WIP. You decide what time periods to use: hours, days, weeks, months, etc.